There’s nothing better than finding a profitable way to spend your free time, and one of the best ways to make some extra cash is by taking paid surveys. But before you begin, it’s important to know that you’re signing up for a reliable panel. So we decided to try out Survey Junkie since they’ve got a very strong reputation for being both fun and reliable. First, we read some reviews from current members. 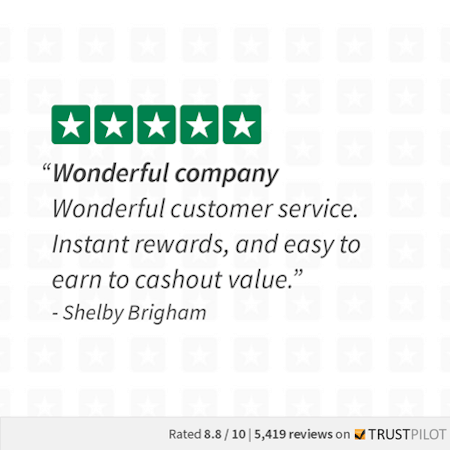 Survey Junkie also has an A+ rating with the BBB, and over 8 million people are currently taking paid surveys on the site. So we delved further in to find out how they work. After reading these reviews, we decided to sign up and try it out. We were immediately impressed that Survey Junkie was completely free to join. (Be wary of sites that charge a fee). That was another sign that this was actually a legitimate paid survey site. 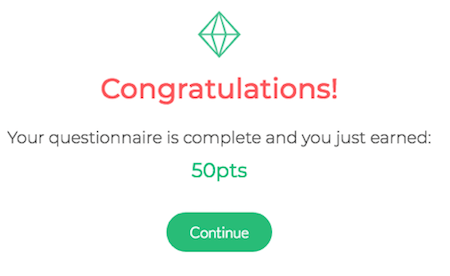 The signup process was simple and straightforward, and Survey Junkie even gave us points for completing different steps before we even took a survey. 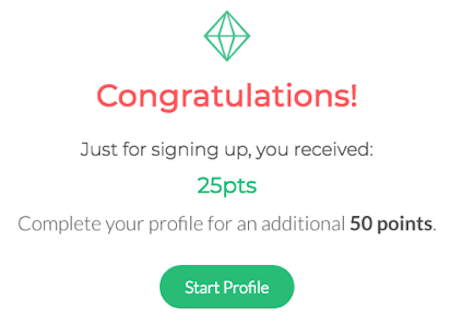 For example, we got 25 points just for signing up. The next thing Survey Junkie asked us to do was fill out our general profile. This questionnaire is used to help them match you with surveys that relate to your lifestyle and interests. That means you’ve got a higher chance of qualifying for surveys. And we earned 50 points for completing it! Overall, we’ve found it both easy and rewarding to take paid surveys on Survey Junkie. While some of the surveys can be boring, most of them are a fun and interesting way to spend free time. You’ll probably even find yourself making an actual difference to the products and services that you see in your daily life… Which is a really awesome experience. Another perk about Survey Junkie is that they gave us a few points even when we didn’t qualify for the entire survey. (This isn’t always the case with panels). And because they have a super low payout threshold, we were able to cash out our points once we got to $10. Survey Junkie lets you redeem your rewards immediately, so you don’t have to wait for weeks to get a check in the mail. You can choose their PayPal option if you want to get cash, or select from e-Gift cards to Amazon, Target, Starbucks, Walmart, and more. Survey Junkie is definitely a legitimate paid survey site, and is a great way to make money online if you have some free time on your hands. Like all survey panels, it requires that you’re consistent and dedicated if you want to see your time pay off. But with their low payout threshold and easy-to-use site, it doesn’t take long! If you’re how to make money online and looking for a legitimate site that’s fun, easy, and convenient, we definitely suggest you check out Survey Junkie. This review is a sponsored post by Survey Junkie.